We have an Easy Store in September 2014. 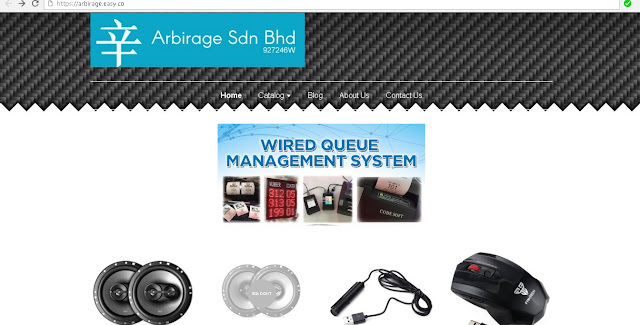 At that point, our Easy Store url is http://www.arbirage.sto.my . We have abandon that website sometimes ago and no longer updated. Recently, We get a free trial offer again for 3 months ( Already one and half month ago ). As their modus operandi fit into our motto of "Arbitrage" and "Leverage". And the fact that they have en Ecommerce facility build in with shopping cart and Check Out facilities. We decided to give them another 3 months trial. ( Already one and half month ). But their url this time is https://arbirage.easy.co and no longer the original http://www.arbirage.sto.my . In future, We may merge it with our existing website http://arbirage.com if we satisfied after 3 months free trial, and just have one url...http://arbirage.com... as our main store. Those who do not have credit card/debit card or those prefer online transfer may want to order from this store in stead of our store at Lelong or Lazada etc. Whether this store will continue after 3 months depend on your support in next one and half months. 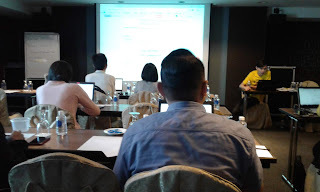 I have been register for E-Commerce Training Class 101 by Lelong.my held at MH Hotel at Ipoh on 4 July 2018. This is the only class available at their website. E-Commerce Training Class 101 - Now Everybody Can Sell Online. By the time I arrived. They ask me whether I attend Class 101 or 102. Oh! There is Class 102? I thought only in KL? Actually, I have attended Class 101 few year ago. Thus, I ask whether I can be place in Class 102 in stead of Class 101. Actually, only Lelong WebStore subscriber are allow to attend Class 102. They check that I have subscribe for a WebStore and they agreed I attend Class 102 in stead of Class 101. But Class 102 started at 9.00 am in stead of 10.00am and actually already started. Fortunately, I still able to catch up. Despite not as crowed as Lazada event weeks ago. But the Class has been separated into class 101 and Class 102. I thought I am the only one subscribe to WebStore Plus. Surprisingly, when instructor ask who subscribe for WebStore Plus. Majority of those attended subscribe for Webstore Plus. Fortunately, there is Class 102 in Ipoh. This consider a fruitful event for me. Any class 103?